This is the story of an orphaned little girl named Ro, who lives in a desert island. Ro was raised by the local animals who became her friends and her family because she was a baby when her boat wrecked. Ro grew up very happy without remembering her past or how she arrive to the island. But one day her life changes radically when landed in that place the adventurous Prince Antonio; who was exploring near lands to his kingdom. The prince and Ro immediately feel a deep love. 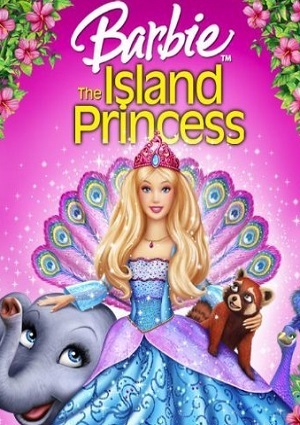 Then Ro decides to leave the island accompanied by Antonio knowing that in this way may also know her origin; however on her arrival, the Kings don’t want Ro to be the prince’s wife and quickly scheduled a wedding with a princess from a nearby kingdom: Princess Luciana daughter of an evil woman: Queen Ariana. Everything seems complicated for Ro; Queen Ariana will not allow to call off the wedding and will do everything so the girl get banished from the kingdom. Ro realizes she will be very unhappy leaving the island, but when everything seems to be lost, something wonderful will happen to her, something that will change her life forever.